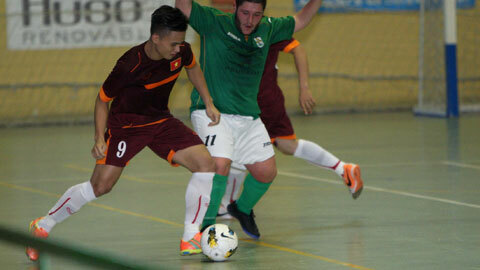 HA NOI (VNS) — Viet Nam's futsal team came from behind to beat Lugo Club 5-4 in their last friendly match in Spain on September 28. Minh Tri scored a double, while Quoc Nam, Anh Tung and Long Vu scored a goal each. The Vietnamese goals were sandwiched by the Spanish team's goals. Viet Nam finished their training course with three wins and two losses.